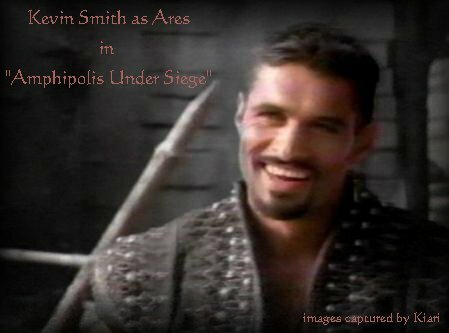 Kevin Smith in "Amphipolis Under Siege"
This was the 3rd Ares episode in a row. Aren't we getting spoiled? :) As always, Kevin does a fantastic turn as the God of War. He also has a hot moment or two with the warrior princess herself. These images were captured from WGN because I missed my local station's viewing. Can you tell the difference? Perhaps not. Enjoy!